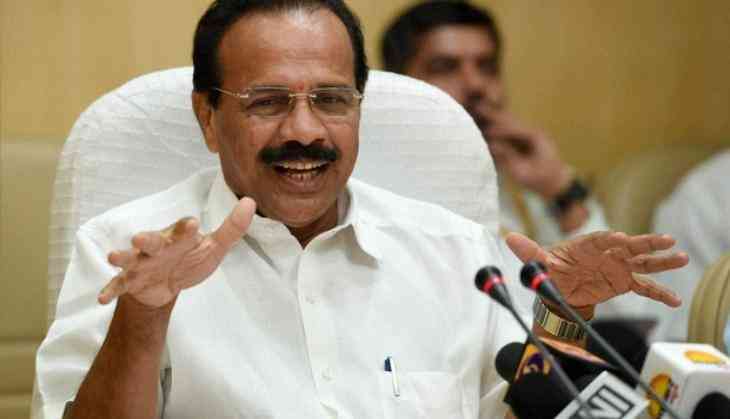 Union Minister DV Sadananda Gowda on Sunday demanded action against Karnataka Chief Minister Siddaramaiah for having lied in the affidavit filed ahead of the state assembly elections. Speaking to ANI, Gowda said, "As a Chief Minister, it is his responsibility to stand above others. So when he himself gives false information in affidavit then he is certainly entitled for action by the concerned authority." The former Karnataka chief minister also noted that the false affidavit brings bad name to the whole state. On Saturday, Karnataka BJP tweeted a photo of the affidavit filed by Siddaramaiah, wherein he declared he doesn't own any social media account. Mr. CM, you also 've NO honesty, NO integrity, & most importantly, NO chance of returning to power," the tweet read. Siddaramaiah filed his nomination from Chamundeshwari constituency, and submitted an attached affidavit to the Chief Electoral Officer, on Friday. The Congress-ruled Karnataka will go to polls on May 12 to elect its representatives for the 225-member assembly. The results will be out on May 15.